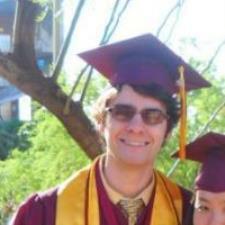 I graduated Spring of 2012 from Arizona State University with a B.S. in Physics (4.0 GPA) with additional emphasis in Mathematics and Astrophysics/Astronomy. Beginning with high school, I have been helping and tutoring my fellow students and colleagues struggling with physical and mathematical concepts and problems in the context of homework, studying for exams, and even personal curiosity with respect to the scientific realm of understanding. During my undergraduate years at ASU, I was involved in a various number of positions in the physics department including, but not limited to: teaching assistant (grading as well as helping with homework), single and group tutoring within the ASU Academic Success Center (emphasis on physics and calculus), and teaching labs/recitations to physics students (along with the associated office hours, personal appointments, etc). My primary method in teaching and tutoring students, especially when it comes to physics, is to ask questions to help the student fully understand a concept by examining it from many different angles. My philosophy, like many physics professors, is that when you obtain an answer to a question or problem, step back and think to yourself, "Does this make physical sense? Am I considering all the variables?" Understanding an answer is ten times more important than the answer itself. I live near ASU campus, so naturally that is my target audience and preferred location to teach and tutor. I am, however, willing to visit off-campus sites up to 5 miles away. I've spent a great deal of time reviewing for the various sections of the GRE before taking it myself as well as while tutoring students on the specific subsections of this exam. Started with AP Calc in high school (received a 5 on the test). I actively use calculus day to day with my physics students at a variety of levels. Geometry is essential to any physicist, student or professor. Having tutored a variety of physics, my qualifications for this subject speak for themselves. From basic high school mechanics, to advanced quantum theory, I have covered the round of bases in between during my physics degree. This is my most sought after area mostly for PHY121/131 (calculus based mechanics and E&M at ASU) though I have tutored for the upper division physics major classes as well. Prealgebra/algebra as essential for understanding nearly any level of math or physics. I mastered these starting in middle school and not a day has passed where I haven't used one or both at least once in the past 9 years. 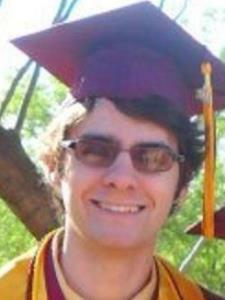 I have covered both ordinary and partial differential equations in their associated math courses at ASU (MAT274, grade A, and MAT462, grade A+). I am very comfortable with solving and teaching first and second order ordinary and partial differential equations. Bryan helped me understand the first semester of Physics which was Mechanics and it wasn't calculus based. This was very confusing for me, but Bryan was able to explain things in a clear manner, showing me where I tended to make mistakes, and he always made sure I understood how to approach the problems and the conceptual theories behind them so by the time I got to the test, I felt very confident and got an A for the semester. Sometimes we would go over a a whole concept or just review a specific problem that was difficult, but Bryan was able to help out with it all! Bryan taught me physics 112 material such as optical rays. He helped me understand and accomplish my assignment. He was able to walk me step by step on my homework. I feel better prepared for my exam. Great tutor and very knowledgable! Bryan is very patient and works with you when you are struggling to understand some concepts, and will take time to review fundamentals before continuing on to more advanced concepts. He has helped me from algebra 2 all the way to calculus 2 and is now helping me with physics as well. Highly recommended!!! Bryan has tutored two of our high school age children in advanced math and physics classes. He's timely, friendly and efficient. Both of our kids (boy and girl) felt comfortable asking questions and felt more confident in their studies after each session...and as a result, grades have improved! Very helpful and knows the subject very well. Also, provides clear explanations that are easy to follow. In addition, he is easy to reach. Bryan works with my son in Algebra, Physics and Chemistry. My son went in very discouraged with his struggles in school. Bryan was so patient and had a way of explaining things to him in a way he could understand but also made him feel good about himself again. I am a veteran teacher and have been working with my son but wasn't able to break concepts down for my son but Bryan was! We will continue to work with Bryan. I highly recommend Bryan. He has great communication skills with students as well as with the parents. He is prompt to return emails or phone calls, is on time and very professional.